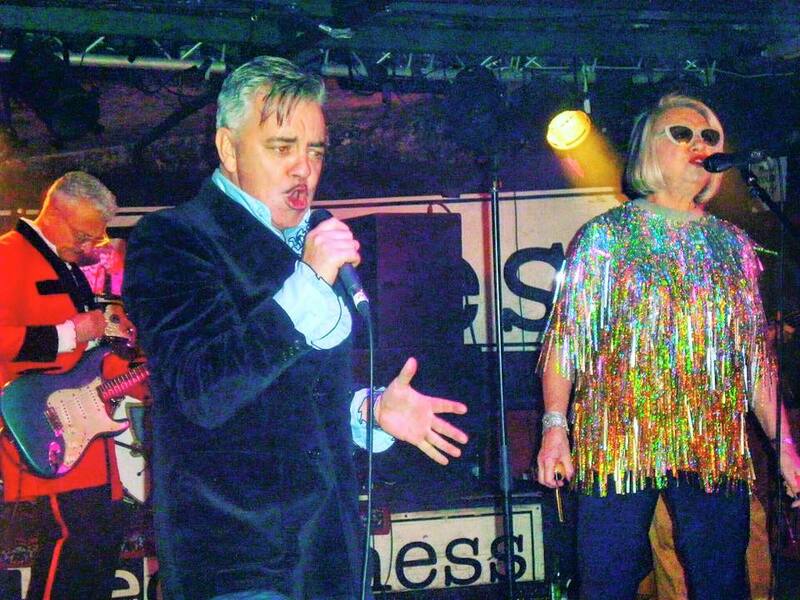 Ahead of the new Deaf School album, Getintothis‘ Denise Hodgkinson chats with the band’s Steve Allen, aka Enrico Cadillac Jnr. Steve Allen is a very happy man. 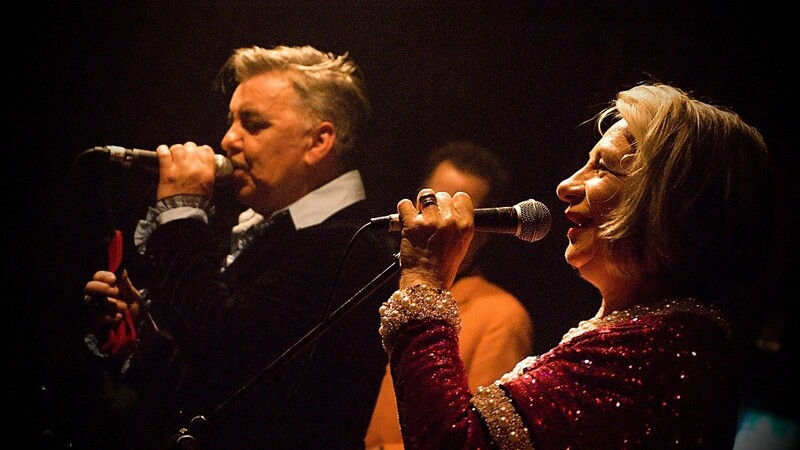 Steve is otherwise known as Enrico Cadillac Jnr, joint lead singer, along with Bette Bright, of Deaf School. This is an exciting time for the band, who release a new album this week. They are currently rehearsing for a mini-tour to promote it. Let’s Do This Again Next Week was made possible by the financial help of superfan Neville Astley, co-creator of Peppa Pig. As Steve says, ‘he wanted to hear a new Deaf School album, so he just gave us the money to record it’. This gave them the freedom to do what they wanted creatively and the result is a wonderfully quirky set of songs which is the Deaf School trademark. Whereas on their three previous albums, the band were channelling the Hollywood of Humphrey Bogart and Lauren Bacall, the new album is more influenced by British kitchen-sink films of the fifties and sixties. ‘I’ve been watching a lot of those films recently, especially This Sporting Life. Richard Harris is brilliant in that. I love the sixties atmosphere.’ Billy Liar is another favourite. This period influence defines the album. The Fabulous Miss Susan Jones is a sixties drama with a jaunty tune which evokes Lynn Redgrave skipping down the street to the theme tune of Georgy Girl or Julie Christie in Billy Liar. Skylon is a wonderful fifties vignette based around the sculpture that was the symbol of the Festival of Britain in 1951. It includes a fabulous dialogue between Bette and Max delivered in clipped RP tones based on the LPs that were used to balance stereo equipment, “You should now be hearing me on the left”. The first single from the album Top Man Top (in the Deaf School style that Steve describes as ‘wordy pop’) has been receiving a fair amount of radio play. “We sent a few copies to Top Shop, but we haven’t heard anything back yet!” he tells us. Steve is pleased that the new material has gone down well with long-standing fans who are, frankly, relieved. There was a possibility of disappointment, which he acknowledges, but there was no need to worry. Let’s Do This Again Next Week could have been released the year after their last album, English Boys/Working Girls, rather than getting on for forty years later. Even those who haven’t heard the album yet (and if not, why not?) won’t be disappointed. Deaf School’s Christmas Party is at The Invisible Wind Factory on December 8, but as anyone who has seen the band before knows, every Deaf School gig is a party.